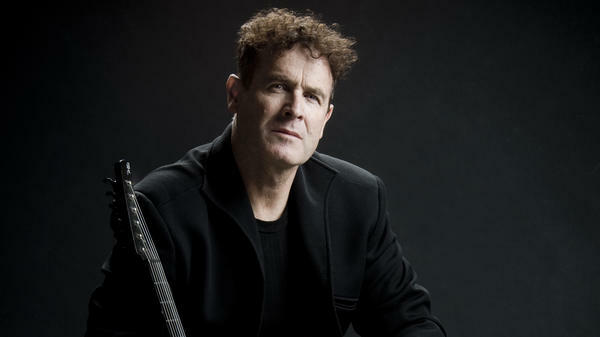 For this Sense Of Place session, we spent some time in South Africa with guitarist and songwriter Johnny Clegg. The visionary musician was diagnosed with pancreatic cancer three years ago, and spent the latter part of 2017 on a world tour he called "The Final Journey." It was a productive three months that also included a new solo album, King of Time. But rather than feature that new material, Clegg performed four of his most beloved songs from yesteryear. Clegg came of age during the Apartheid era in South Africa, and his love of Zulu culture repeatedly got him into trouble, but also made him a trailblazer. At the age of 15, the police would bring him home to his mother for sneaking into the areas where itinerant Zulu workers lived, where he was learning the Zulu music and dance from street musician Charlie Mzila. A short time later he met Zulu tribesman Sipho Mchunu, with whom he would go on to form the band Juluka. Juluka's 1976 debut single, "Woza Friday," is now something of an anthem in South Africa, but initially it struggled to get airplay as the state-run South African Broadcasting Corporation would not support music that mixed influences across racial groups. Nearly a decade later, Clegg formed a second cross-cultural group, Savuka, after his partner Sipho Mchunu decided to leave the music business. That band found more international fame and Clegg solidified his status as an icon in South Africa. Listen to our interview and live performance with Clegg in the player above.